Truss systems is a strong yet lightweight building framework that is commonly used to erect temporary structures. Modular enough to form any shape and configuration, this versatile system can be used to create any structure an event demands, from entryways and complex displays to indoor and outdoor stages. 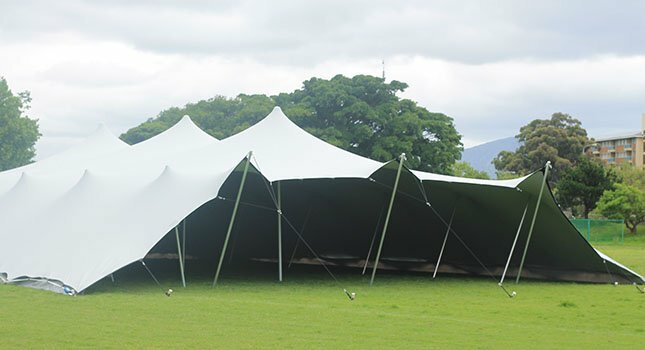 In conjunction with modular and versatile stretch tents, trusses make it possible to construct a variety of super-secure configurations, which is an ideal solution for structures that do not allow for the tent’s central supports to be reinforced at ground level. 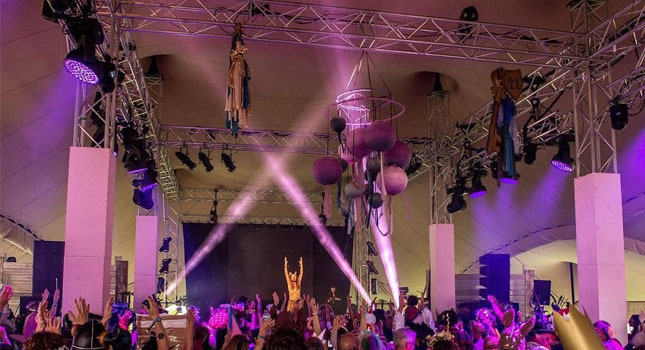 In short, stretch tents and truss systems is the event industry’s dynamic duo. The tent’s central supports can be reinforced by cross-beaming trusses overhead. 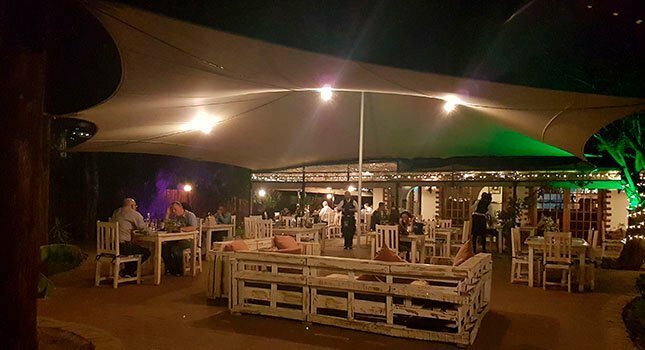 Roof canopies can be positioned higher than what is possible when using normal rigging poles. Attaching light and sound fixture attachments is a breeze. Configuration 1 is an example of a very large stretch tent-truss system hybrid that required rapid deployment. 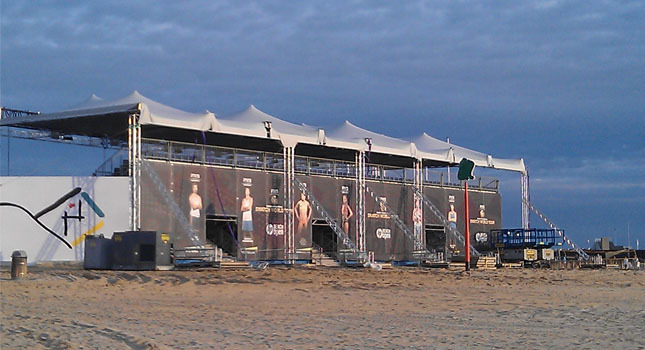 This stadium-type roofing system is commonly used for sporting events, such as a beach volleyball tournament in this case. Organic lines are distinctive of this type of configuration, adding a provocative visual element to the venue. Configuration 2 is an example of a visually-driven stretch tent-truss system hybrid. This staging system was set up to create a dramatic arch at the front of the stage, setting a vibrant mood for the event. Configuration 3 is an example of a closed-off stretch tent-truss system hybrid. 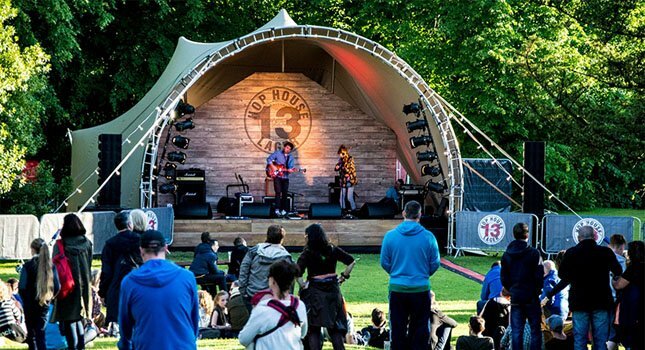 Being completely structurally secure and guarded against weather conditions, event organisers created a massive temporary structure, allowing for the double-volume height that is required for live performances. Configuration 3 is an example of an extremely simple stretch tent-truss system hybrid. 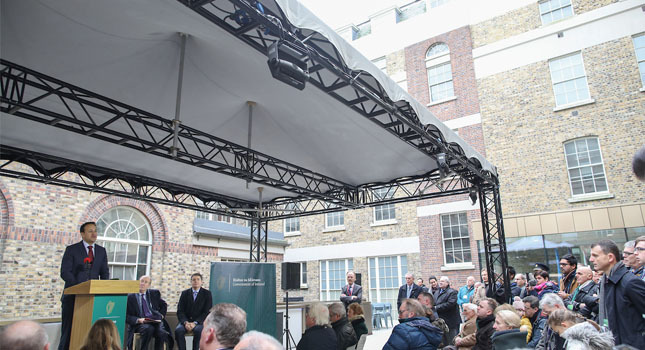 This press stage shows how the truss system supports the central uprights when central poles supported on ground-level is not desired. 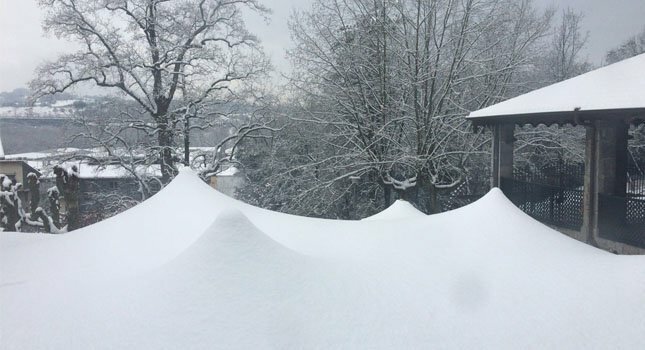 For more information on how an RHI stretch tent can add enormous value to your rental fleet, get in touch with our experts via the button below.